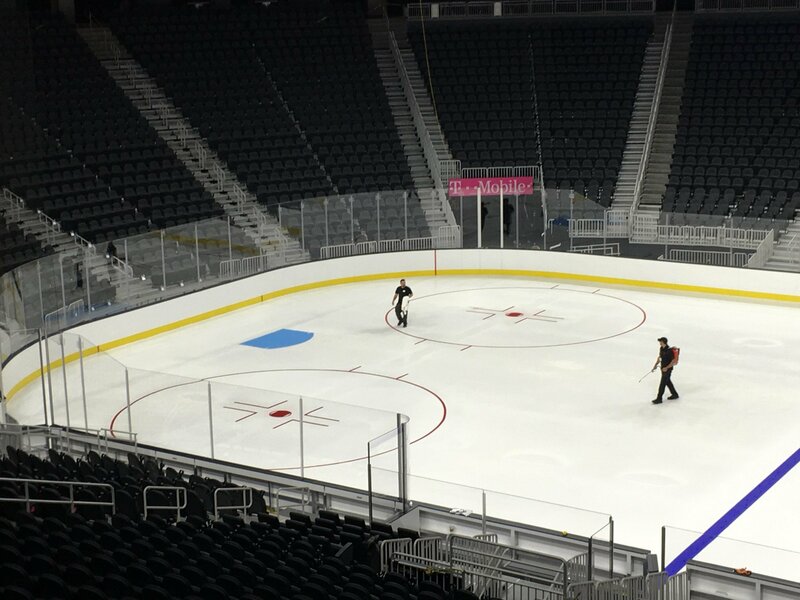 It’s been a long time coming but finally for the first time the ice is being laid at T-Mobile Arena. 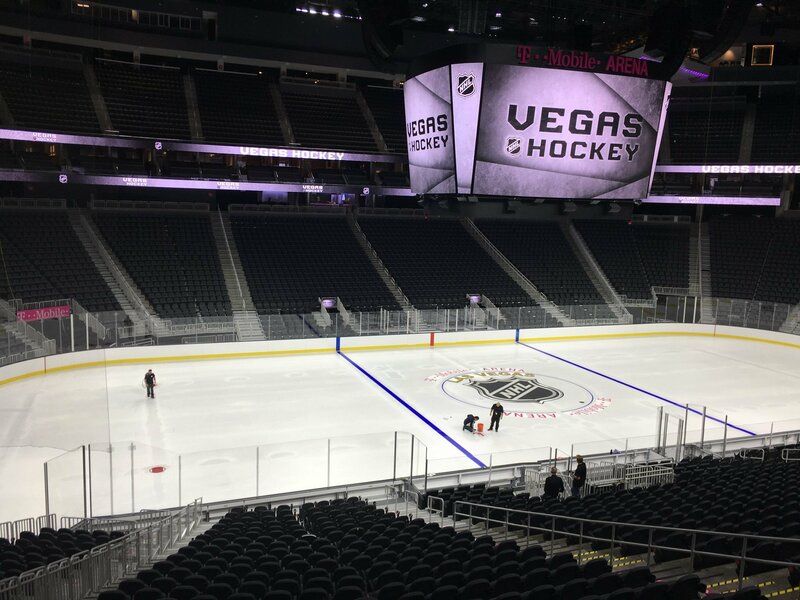 As part of a walk-through for Frozen Fury coming up in September the fine folks at MGM will take the floor of T-Mobile Arena from a boring concrete slab to the most beautiful sight in all of sports, a fresh sheet of ice. 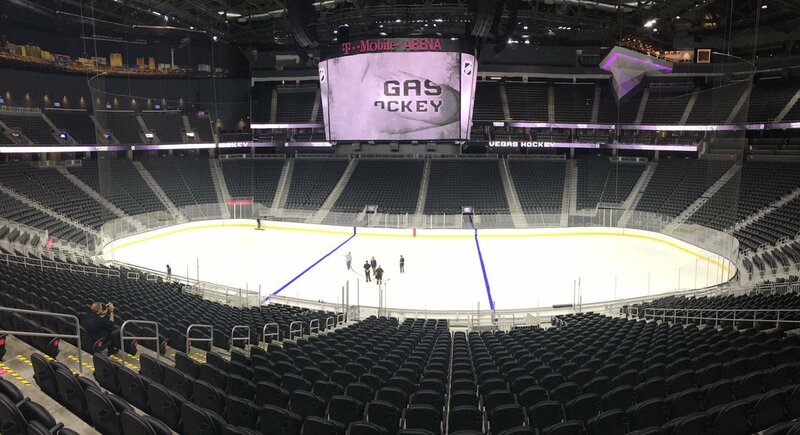 We’ve got pictures, videos, and will even have a chance to speak to some of the people making this happen, and we’ll have them all here throughout the day. 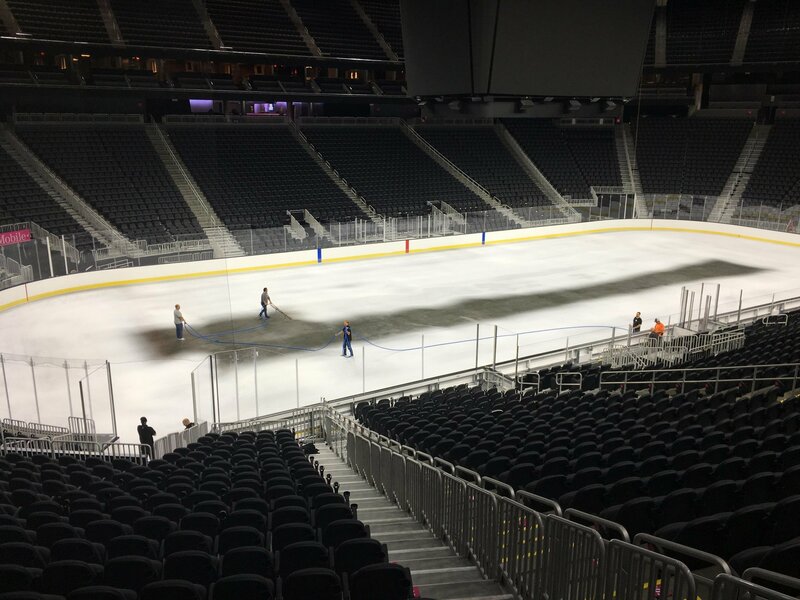 Pre-prep for laying the first white layer. Click through to see this mega post including the incredible time lapse video of the whole process! 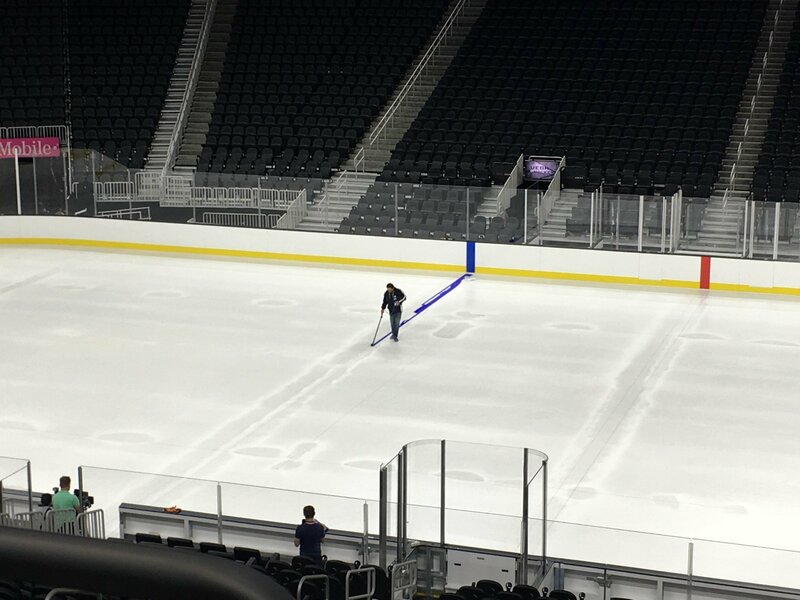 Laying the first white layer. 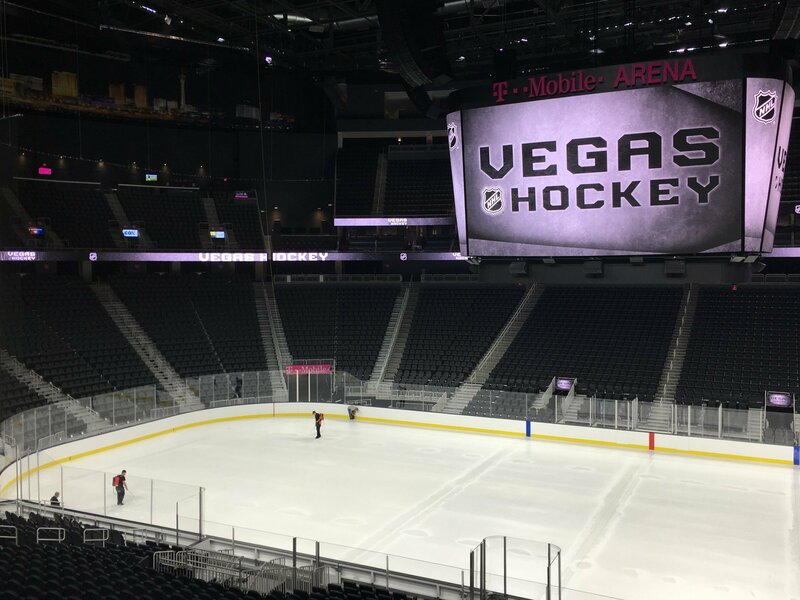 Dan Quinn, VP and GM of T-Mobile Arena talking Frozen Fury, international events, and taking care of the ice surface in Las Vegas. 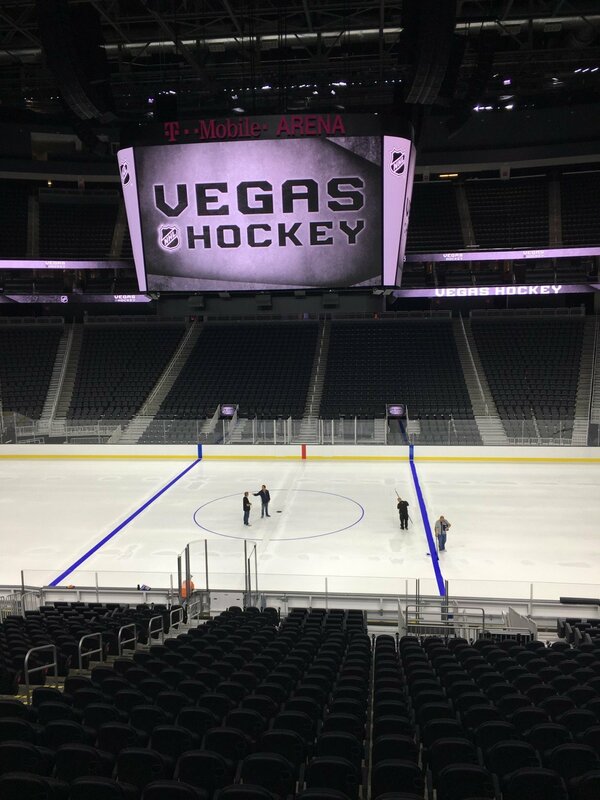 George Salami, T-Mobile Arena Conversion Manager talks all things ice as it pertains to Vegas. Do you expect this to be a fast track? We’re going to be right up there with em, we’re gonna try our best. You can put that online. I’m going right up against em. Absolutely. 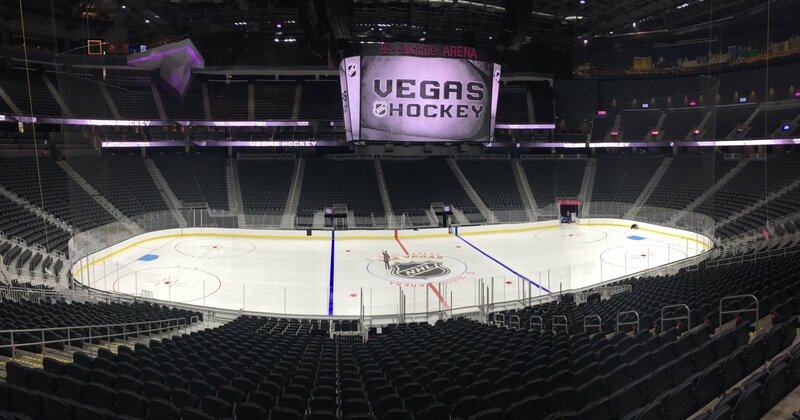 Incredible view of the video boards. 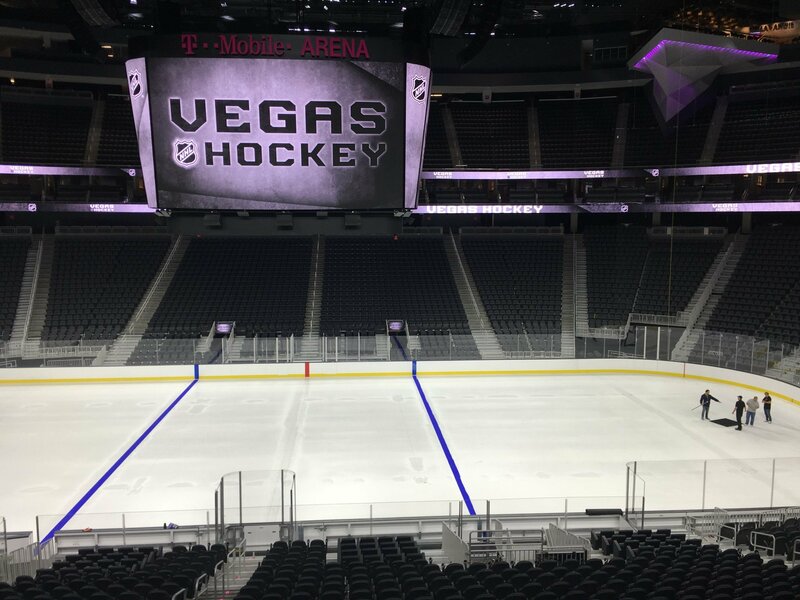 George Salami talking about the feeling of finally having hockey in Las Vegas. 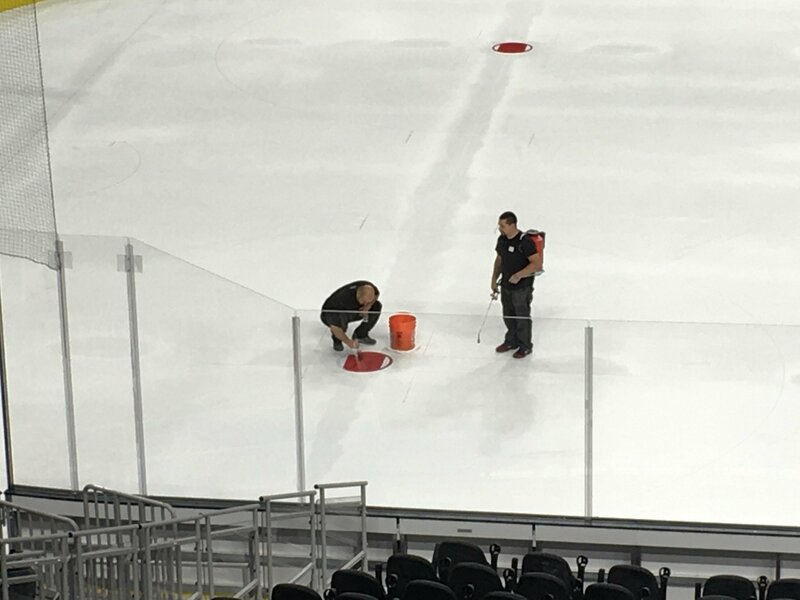 Measuring out the red line. 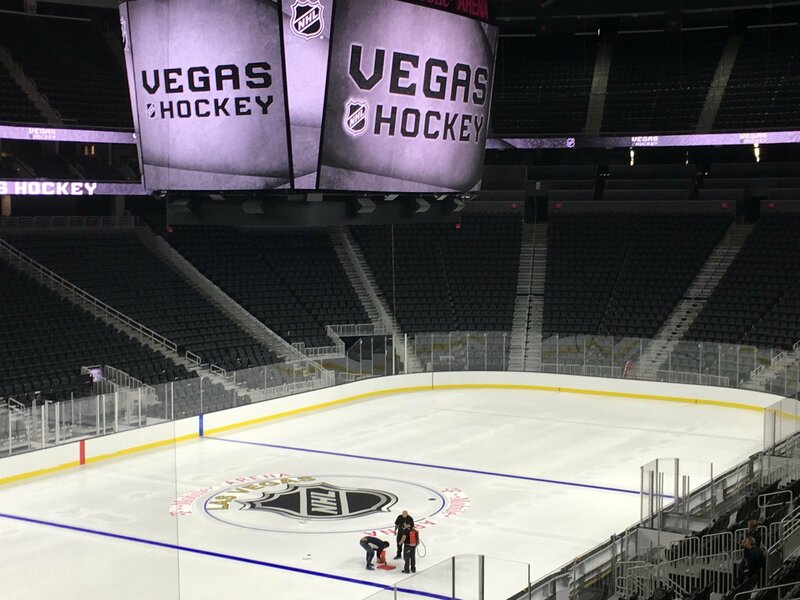 Logos beginning to be painted on. 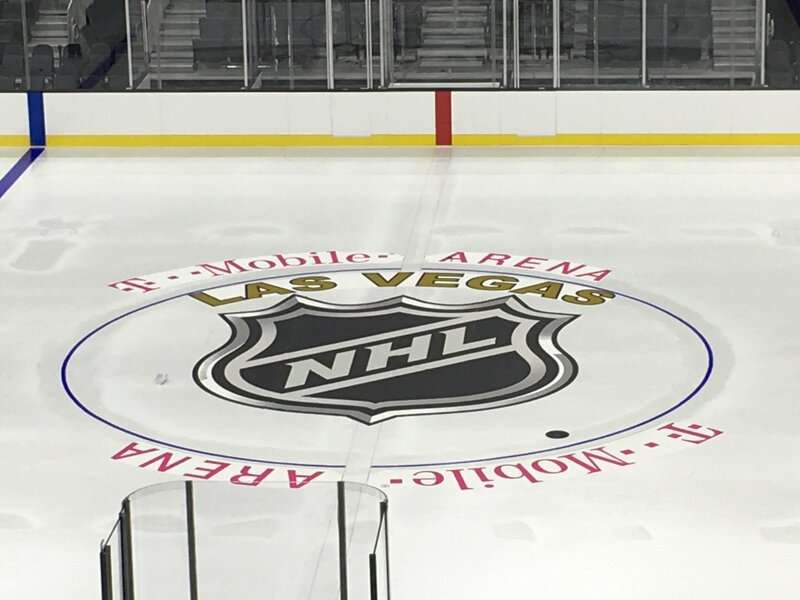 NHL logo in the middle next. 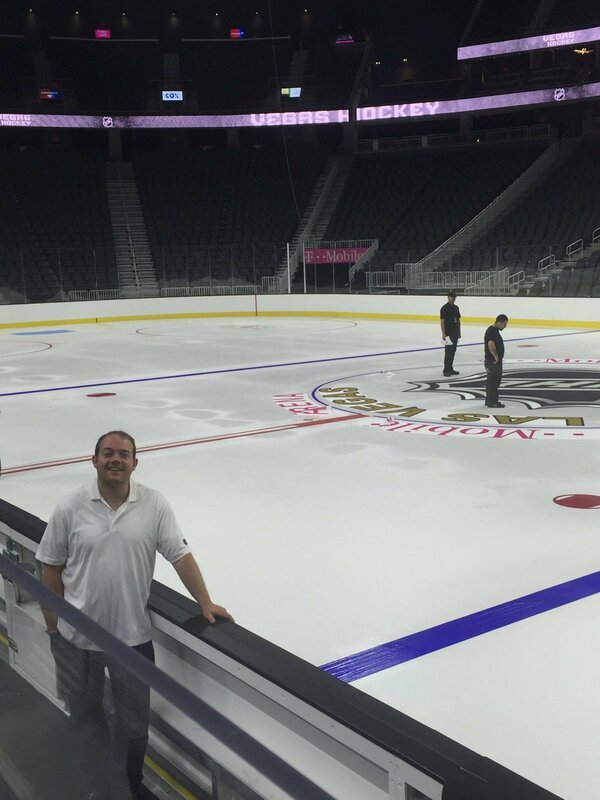 VP of Ticketing and Suites Todd Pollock on the bench. Testing out the sound system. The final product. Come and see it for yourself Monday and Tuesday. 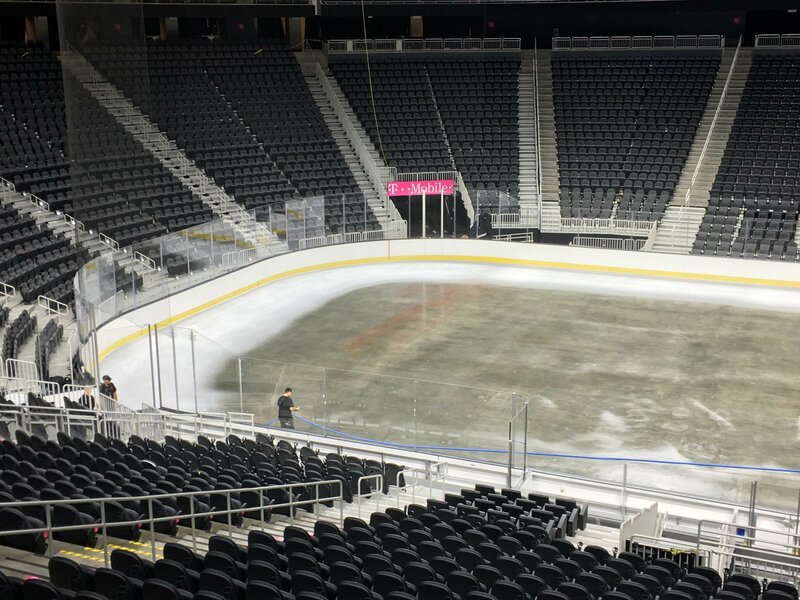 The spraying of water one layer at a time will continue 24/7 until three quarters of an inch is reached in ice thickness , then we will bring out the Zamboni and start flooding until 1 to 1/14 inches is reached in ice thickness. 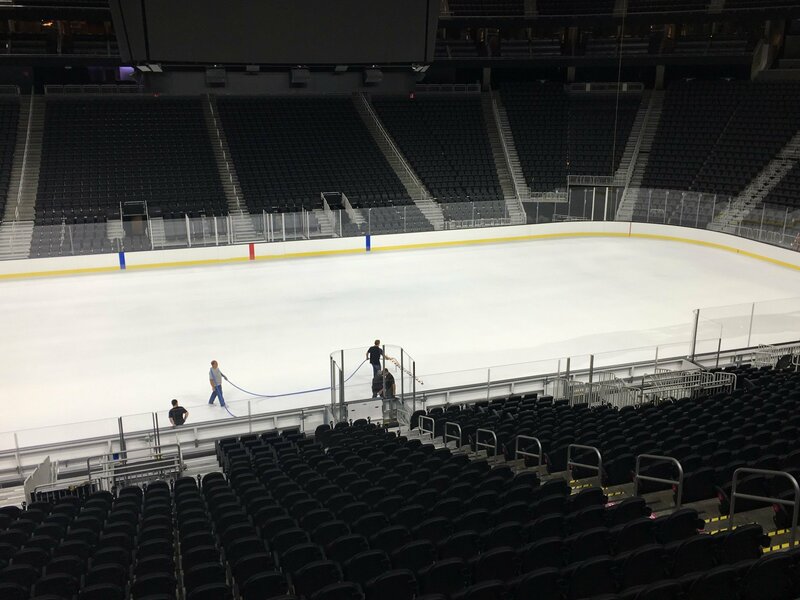 Here’s the time lapse of the entire process. 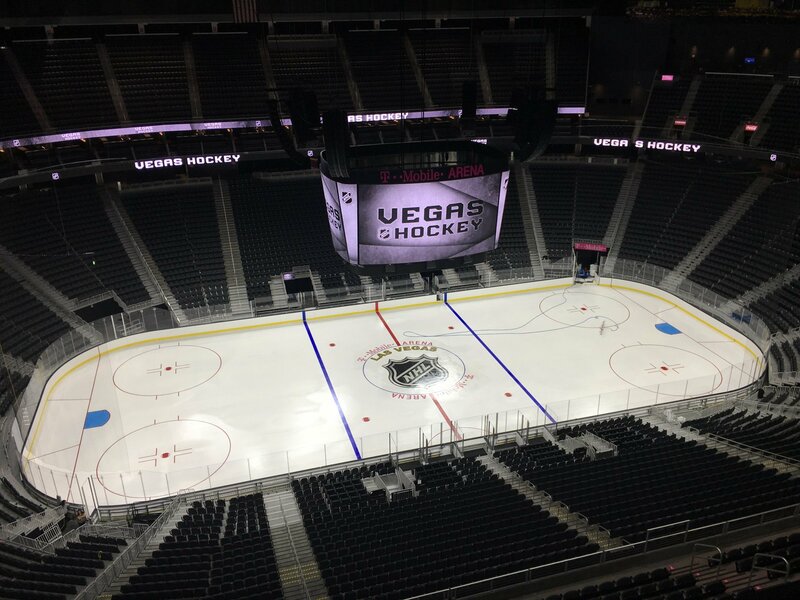 Thank you so much to Lisa Campos and everyone at MGM, AEG, and T-Mobile Arena for letting us post this. Awesome pics and video! 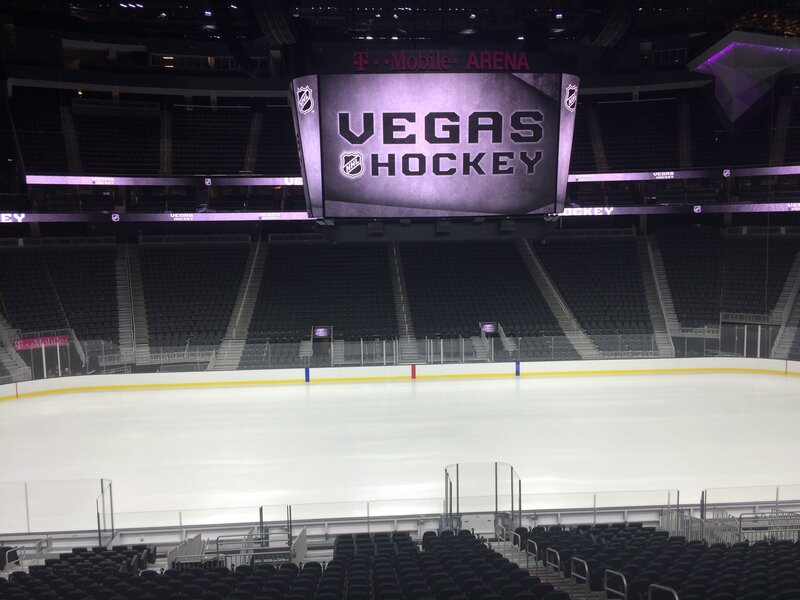 Can’t wait to see it today! 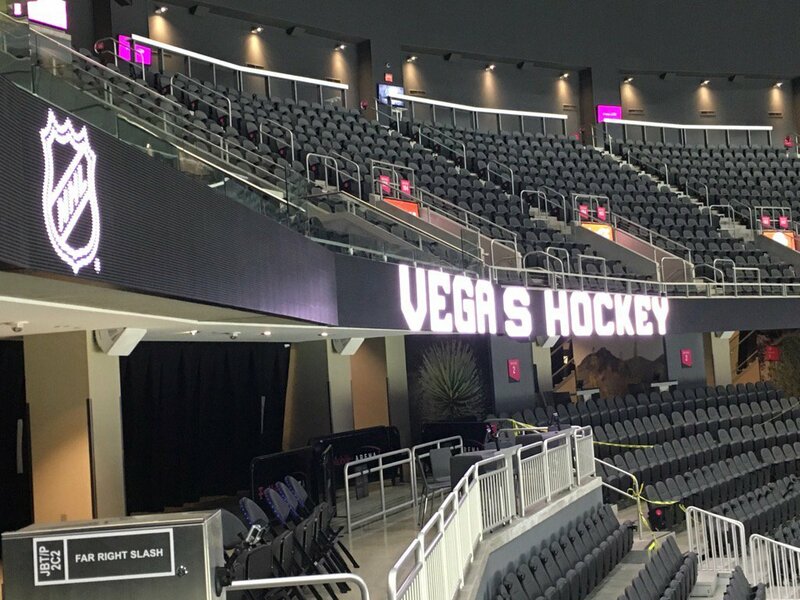 Nice comment by the a-hole who dissed Kings fans.